For the times when you only need to insulate small areas, like gaps and cracks that bugs and other critters can crawl through, consider using Pur Fill Foam. Pur (short for polyurethane) foam is a low cost, low maintenance solution for insulation. Polyurethane is a plastic material that can be manufactured for various purposes, including as: adhesives, furniture cushioning, insulation, and even as the soles of your shoes. This multipurpose material is easy to manipulate, which is why it works as a solution to insulation in both high and low expansion varieties. Low or High Expansion Foam: Which do I need? The difference between low and high expansion foam is simply how much area the foam covers. High expansion foam is used on large cracks and gaps. It can grow, or expand, by 30x when only 1″ of thickness is used. Low expansion Pur foam differs in that it expands by 10%. For insulating small spaces, the best type of foam to use is low expansion. For less than $20 you can purchase a 750 ml (32 ounces) can of this low expansion foam. The foam is easy to install and apply. 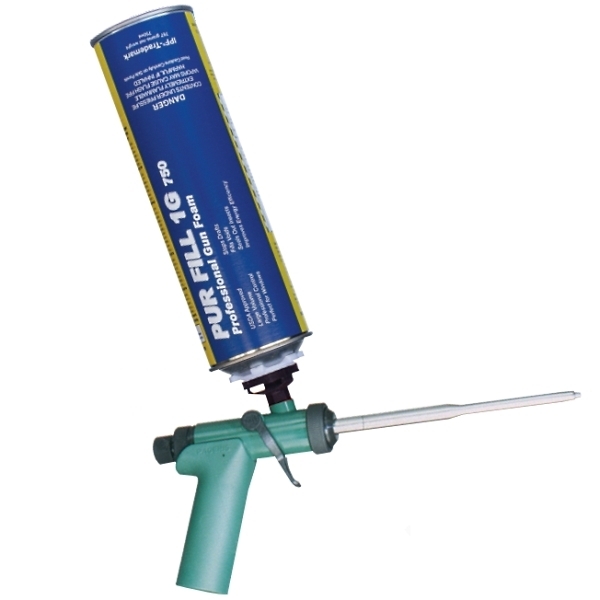 Just load the can of foam into the application gun and spray it into the area you want sealed. For tips on how to use the form, Todol has a number of training videos. Not only does Pur Fill Foam close up those cracks and gaps, but you’ll shave off 20% from your energy bill with proper insulation. Air leaks create a temperature imbalance in the home, increasing the amount you spend on energy every month. Air leaks can be anywhere, but there are generally some places that you can always expect to find gaps that need to be sealed. During summer and winter months, the attic and garage often mirror and at times intensify the temperature outside. When looking for open holes in the attic or garage, start with the ceiling and walls. Air leaks in the basement can be around air vents, ducts, and other places that lead outside. Block air leaks and the invasion of bugs, rodents by putting polyurethane foam to good use. ← LED Emergency Lights and Exit Signs are a Win-Win!